Hi everyone! I’m popping in today to share a few cards I made with Memory Box dies that I really love. But before I share the card, have you seen the FLASH SALE Simon’s has going on right now?? 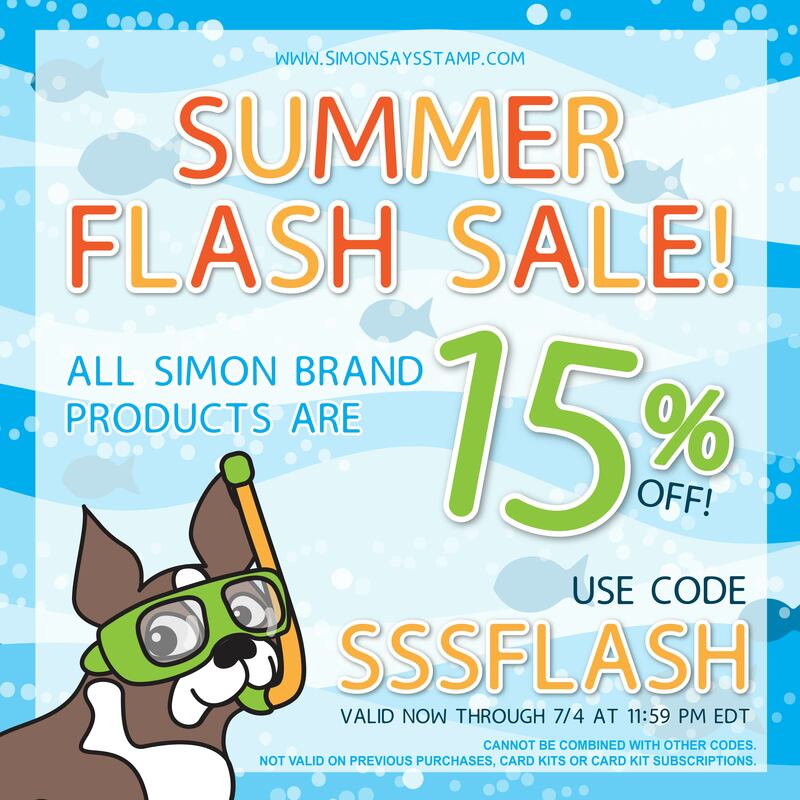 With code SSSFLASH you can get 15% off all Simon branded products! You can see all of the Simon exclusive products HERE. Also! Simon has a bunch of products on sale (no code required) in their sale category HERE. There are some Simon exclusives in the sale category, which you can use the SSSFLASH code on, to get an additional 15% off the sale price! YAY! I am a big fan of Memory Box dies and have a few from some of their previous releases that I have been dying to use again. 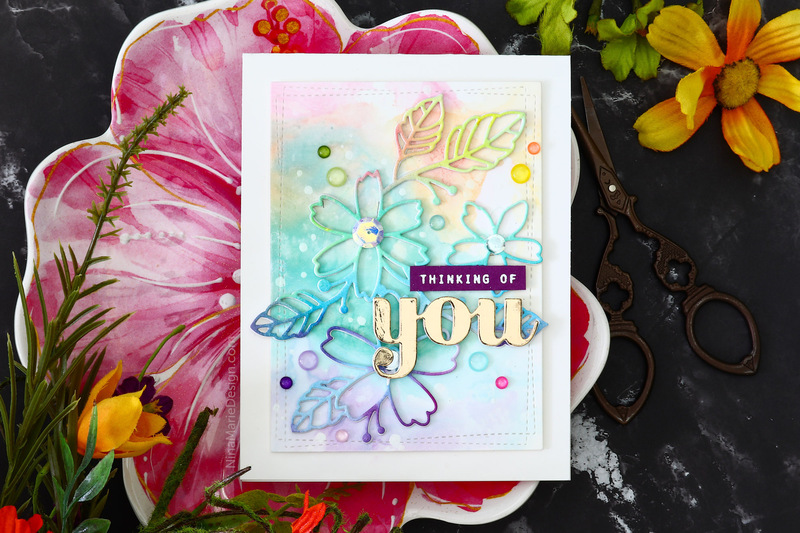 You may remember me featuring this Fresh Picked Flowers die that I featured in this video. I had a background in my stash that I had made from a second-generation of smooshed alcohol ink colors. The colors in this background inspired me to color the Fresh Picked Flowers in similar colors (using Copic markers) and layer it over the background. There are some Simon Says Stamp Butterfly Kisses sequins tucked around the card; I even layered a few of them over the centers of the largest florals. Along with those sequins, I added some Satin Rainbow Confetti from Studio Katia too. Over each sequin, I added a layer of Morning Dew Nuvo Drops, giving them each a domed appearance. I cut the Memory Box Sugar Script You die from some Tonic Studios gold mirror cardstock and paired a supporting sentiment with it. I don’t recall where the “thinking of” greeting came from, as it was something I had in my scrap bin. This is a fantastic card Nina. I LOVE Memory Box dies too, they are among the best.